A dual-chain double pedal designed for power and speed. 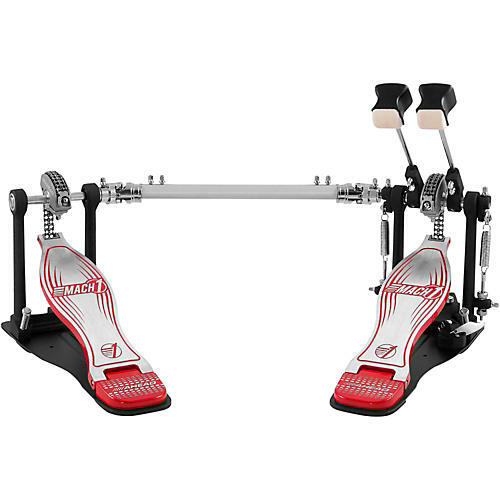 The Mach 1 Pro Double Pedal was designed for long-lasting durability, speed, and performance, all provided at a great value. This pedal features dual-chain drive cams for smooth action with no loss of power, while maintenance-free sleeve bearings in the heel hinges of the footboards ensure long-term durability and smooth action. The dual-sided beaters offer both felt and plastic textures. The solid engineered base features a drum key mounted on the baseplate.